This entry was posted on Thursday, May 10th, 2018 at 9:57 am	and is filed under E-tailing, Lines, Patience, Retail, Staffing	. You can follow any responses to this entry through the RSS 2.0 feed. You can leave a response, or trackback from your own site. You’ve hit a nerve! I have found terrible service at Ikea, Macy’s, Target and Kohl’s (good luck finding a warm body). Two of my favorite places for service are Trader Joe’s and L.L.Bean. The latter is great about exchanges for clothing etc, even when worn. 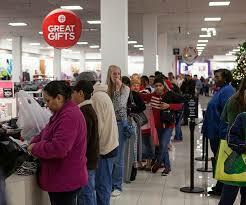 I wonder if the service at retailers such as Macy’s and Target differs from location to location. I haven’t set food into Macy’s in NYC after a most horrendous experience buying a bridal gift some 20 years ago. When bridal registries went online, I used them gratefully, thanking my lucky stars that I didn’t have to return to that place. Yet we had amazing service in the men’s shoe department at a Macy’s in Poughkeepsie. And while my next comment refers to merchandise, not service, the TJ Maxx in Poughkeepsie is fabulous and the one in the east 50s in Manhattan, especially downstairs, reminds me of Goodwill Industries, though I admit to passing it by these days and it’s been a while since I’ve checked it out because the earlier impressions were so poor. I know I’m going to sound like an old fart, but lack of service at retail stores has been an issue for decades. My parents had a mom & pop children’s clothing store in the 1950s to the late 60s, and service was always paramount. And it went beyond the help at the sales counter, to things like gift wrapping, home delivery, extending credit — all FREE. But then people starting going to the big dept stores and the discount chains, not appreciating that what they might have saved on the price was offset by extra charges for gift wrapping, delivery, etc. Retailers now have a chance to fight the online retail monster by enhancing their service rather than cutting it back. But instead, they’re succumbing to the pressure of quarterly sales and earnings demands by investors — a short-term approach that will eventually lead many of them to bankruptcy or shuttering more brick & mortar stores, with more people losing jobs. I have always marveled–and credited the manager–when I’ve admired the help and attitude of sales staff in big boxes and department stores. Home Depot, for example, doesn’t have the greatest reputation for service and yet the workers at the one I go to across the street from Marist College in Poughkeepsie have bent over backwards to help and advise me. As for retailers ignoring their customers because they are riveted to their bottom lines instead of their sales floors–I agree with you. They have missed the point. 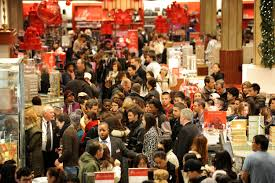 In spite of everything, there are still those who enjoy shopping, and if we believe the administration, they’ll have more money in their pockets. [Maybe the administration didn’t know about the 52,000 who worked for Macy’s and no longer do; the millions who haven’t had a raise in years etc.] Regardless there still are occasions that call for new clothes for adults and kids outgrow theirs. The smart retailers should be scrambling to attract their money. Tough questions…That Amazon has made such inroads into retail categories like clothing and appliances always astonishes me…I find their product listings so complicated with various sellers, different prices and shipping fees, and whether you’ll pay less with their prime account is too confusing. I don’t like spending all day scrolling through those products. Unless I really know what I want, I don’t bother with Amazon. 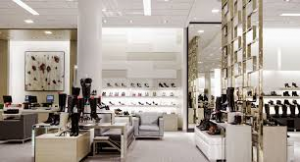 Truthfully, I can easily find help at Saks or Bloomingdales…the “big box” stores are always more of a hassle, and I have walked out of our local Target because of the lines at the registers. More than half of them have no cashiers at the stations…so why do they have so many? Even the lines at their self-check outs are long, and many people don’t know how to use the computers, causing more delays. Strangely enough the floor help at Home Depot seems to know their products and where to find them. 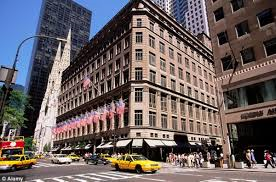 Maybe because they work with so many pros…I haven’t been in Macy’s in years and have no plans to return; the department store is simply too big and product displays have been very messy and disorganized in the past. I agree with you re. Amazon. I buy books or generics when the price is right, which often it isn’t. I’ve addressed excessive lines in a post which some stores, such as Trader Joe’s, tackle best they can and quite efficiently. In the two stores I frequent, East 14th Street and East 32nd Street in Manhattan, there are over 20 cashiers at work at heavy times and a “starter” directing those in line so no time is wasted. I noticed a few times that people with disabilities and the aged are invited to the front of the line and I admire that. I’ve never heard a gripe from other customers either. The discounts and quality are worth the wait–though yesterday I hit the 14th Street store and there was nobody waiting–and the service so pleasant, I am never irritated. I also avoid going at traditionally heavy traffic days and times. Monday’s not a good day as many shelves need restocking. When early for an appointment, I’ve taken a spin through Bloomingdale’s and at times was alarmed at how empty it was. In those moments, if the sales staff, like those at Saks, are asked to restock and attend to other chores in need of doing, what the harm? I wonder whether, if we take a look at retail from a different perspective, we won’t come to a different conclusion. Clearly, as a consequence of the rapid advances being made in “Artificial Intelligence,” (IT), the key aptitude aspiring workers will need to succeed in the job markets of the future, will be a combination of an ability to grasp technological concepts and sufficient mechanical dexterity to enable them to design, create, operate and manage IT as it comes to dominate our lives. Will those of us who do not have such skills be discarded? Not necessarily. Some jobs will never be suited to being ITized. A good bartender does a lot more than just mix drinks, and I remember being taken by my father to buy clothes at a 5th Avenue department store around 1950. A lot more was going on than just clothes selling. Bring the luxury of service back to retail, and as the very rich become even richer, “educate” them to how to enjoy buying. That will create lots of jobs. Incidentally, it is already happening in the food industry. Now, you don’t just have to go to Las Vegas, Paris or New York to spend $500.00 a head for dinner. In more and more cities and towns you now find plenty of places better than MacDonald’s. You’re right about the food. Memorable was dinner at a place in the $500 pp price range that a friend went to in Calif. As I wrote in a previous post, she would have left starving, after countless tiny plates, had it not been for her repeated requests for rolls. I would add surgeon, plumber, hair stylist, carpenter and landscape worker to bartender as well as salesperson who provides value-added to his/her job, who makes the customer feel wonderful when they leave the store so that they tell friends, colleagues and family about the experience. When forced to face retail offline, I look for sales at small/respected establishments. This is where one stands to get quality at a fair price. The last time I dealt with a large retailer was for a wedding gift. Bloomingdales was the couple’s store of choice. The experience was a pleasant one since business was conducted from the computer. The day of crowded conditions along with rude and/or frosty salespersons may be coming to an end, as the public will no longer countenance shabby treatment. There will be few regrets other than for the thousands out of work through no fault of their own. In addition to management missing the point–that people who leave their computers to visit a store expect a modicum of help–the thousands who have lost their jobs are the real victims here. Their choice has been stolen from them.